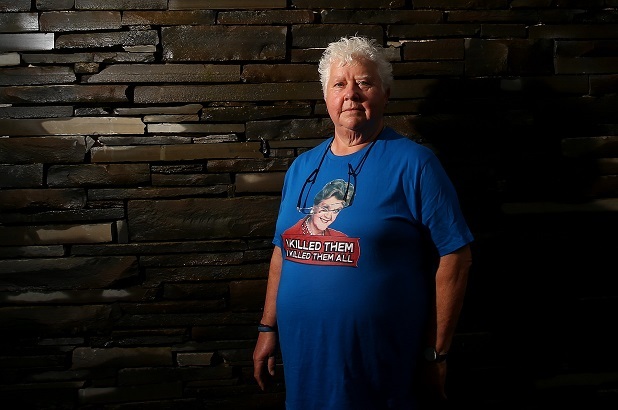 IN the 30 years since her first novel was published, Val McDermid has written 30 books, both fiction and non-fiction. She shows no sign of slowing down, with her 10th novel featuring Dr Tony Hill and DCI Carol Jordan hitting the shelves this week with their most bewildering case yet. A car is on fire on a remote road. Inside is the body of a woman. The Regional Murder Investigation Team, a newly created unit headed by Jordan, is called in to solve the mystery. Unfortunately, the fire brigade reached the car first and washed away potential evidence while putting the blaze out. Then another woman is found in similar circumstances. Forensically aware, the killer leaves no clues to his identity or his reasons for killing two very different women. With the press on their heels, and a disgruntled senior police officer willing her to fail, Jordan and her team are under pressure to solve the case. Jordan has never been more fragile as she finally accepts she is an alcoholic. She fights the urge to drink minute by minute, throwing herself into work as a distraction. McDermid offers an authentic picture of a woman struggling with addiction, “eating away at the slender rope of her well-being and self-confidence”. Hill stays as close to Jordan as she will allow, and tries to stop her blaming herself for everything that goes wrong in her life and those of her family and friends. But guilt is a heavy burden and Jordan still holds herself ultimately responsible for the murder of her brother and his partner. Hill, a far more complex and interesting character than his television incarnation, has his own troubles to deal with. His deep affection for Jordan is marred by his impotence and the reverberations from his dysfunctional relationship with his mentally ill mother. He tries to support Jordan professionally and personally, risking their friendship in order to help her stop drinking. As Jordan becomes more and more desperate, Hill calmly works out a way to save her from herself. McDermid employs some pleasingly visual descriptions of minor characters, thumbnail portraits that bring them vividly to life. There is an old man whose face was “wrinkled with a scatter of age spots like a Golden Delicious left too long in the fruit bowl” and a taciturn taxi driver whose “fat descended from his shoulders in waves … he resembled a bull seal who’d been washed up by the tide”. McDermid also delves further into the lives of Jordan’s team. Paula McIntyre, Jordan’s loyal sergeant, has a happy home life with her partner, Elinor, which is unusual in a crime story featuring obsessive police officers. However, they are looking after Torin, a teenager who has suffered great trauma and who suddenly becomes moody and silent. Through Torin, McDermid shows how easy it is for even the smartest people to become embroiled in the darker side of social media. The fastidious Stacey Chen, usually wedded to her computers, steps out into real life to help right a wrong, and uses less than legal methods to take revenge for her former boyfriend’s betrayal. McDermid ratchets up the tension as the investigation hits one dead end after another. The team are pursuing a new kind of criminal, one who is only too aware of police procedures and forensics. They have discovered that he chooses his victims carefully, picking on emotionally vulnerable women at wedding receptions. Posing as the perfect man – kind, polite, gentle, a good listener – he draws women in before disposing of them in a burning car in a remote location. There is a chilling logic to his actions which McDermid emphasises by outlining them in a cool, efficient manner. It is this twisted logic, combined with an extraordinary ability to deceive, that makes this murderer so menacing. 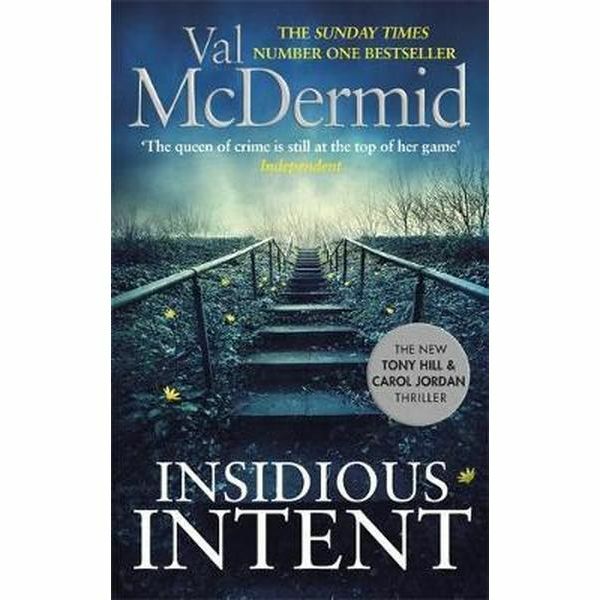 The denouement of this novel is so shocking and unexpected that McDermid has taken the unusual step of including a letter asking readers not to give away the ending. No doubt some will reveal the finale but given the loyalty of McDermid’s huge fan base, it is likely most will accede to her request. This is McDermid’s most expressive and emotional novel to date, giving readers more than just a clever criminal to get their teeth into. It is particularly good to learn more about Hill and Jordan’s supporting cast but the duo remain the passionate heart of the story.